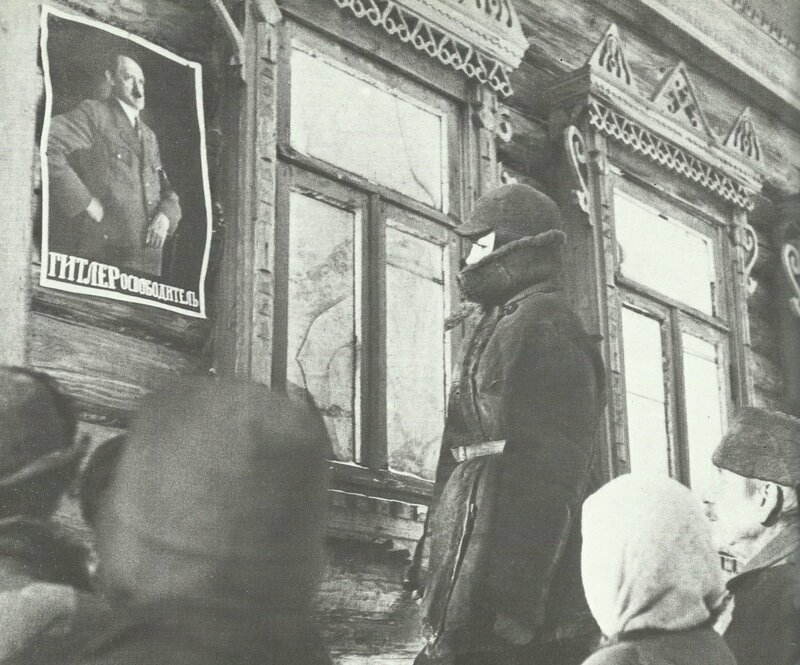 ‘Hitler, the Liberator’ – poster in an occupied Russian city. Russia: Only 702 of 30,000 Jews in Dnepropetrovsk (Ukraine) have escaped repeated SS massacres. Atlantic: Churchill offers to transfer immediately to US Navy 34 anti-submarine vessels and trained crews (first arrives New York early March). Southeast Asia: Last RAF fighters withdrawn from Singapore to Sumatra. Britain: Pacific War Council (UK, Australia, NZ and Netherlands) meets in London.